Q13 Report: Crisis On The Farm with Labor Shortage - PROTECT FARMWORKERS NOW! Auburn family farmer Rosella Mosby talks to a Q13 reporter about the day they had to plow up acres of ripe zucchini because the workers they counted on didn't show up. She also explains why the high cost and burdens of the H2A guest worker program make it impossible for her and many farmers to use. Add to those problems, the attacks that farmers who use the program face from union activists who falsely accuse farmers of horrible treatment of workers in order to limit or eliminate use of the program. 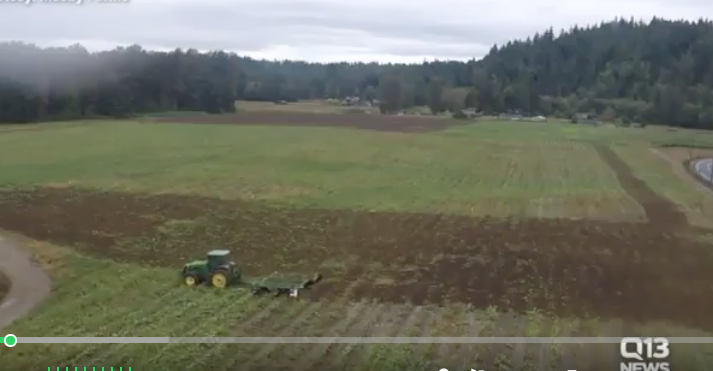 Video of a field of zucchini being plowed under at the Mosby farm in Auburn was shown on the Q13 report. 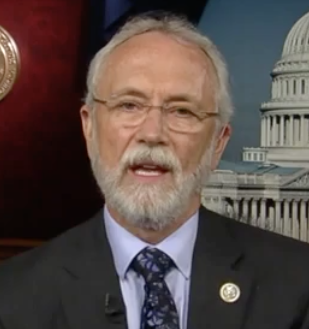 As Representative Newhouse pointed out on the TV report, this problem hurts consumers, hurts workers, hurts farmers and hurts the many whose job depend on Washington's family farmers. Representative Dan Newhouse from Yakima, understands the critical shortage of farm workers and the value of these jobs to the workers. He's working to streamline the H2A guest worker program, making it easier for employers to make use of this program and provide essential jobs for guest workers. This May 31 report from Seattle's Q13 News shows what farmers have been saying for a long time: the shortage of farm workers is real, its damaging and the guest worker program needs to be fixed. Activists say: why don't the farmers just pay more? Or provide more benefits? Wouldn't that solve the labor shortage problem? The sad fact is that despite paying well above minimum wage, few Americans seek these jobs. Current farm labor in Western Washington is costing employers $20 to $25 per hour which is 20 to 30 times what farm workers can earn in Mexican, Serbian, Bulgarian, Chilean or Chinese farm fields. Yet, these are the farmers our farmers have to compete with. This is one big reason why we are now importing more than 50% of our fruit and over 30% of our vegetables. Foreign farms have few environmental or safety regulations which means not only do their workers get paid very little, they have little to no protection from pesticides. American consumers buying produce grown on foreign farms are also exposed to much more pesticides as the FDA reports imported food is five times more likely to have pesticide residues above the US limit. Farmers would love to pay more, much more. But it is getting more and more difficult to stay in business paying many times more than competitors and facing ever more stringent environmental, food safety, worker safety and other regulations. Most of these regulations are important and valuable but policymakers and the public must decide. If having local, Washington and American-grown food is important then opening our doors wide-open to foreign food while piling on more costs and burdens to farmers will mean the end of local food production.